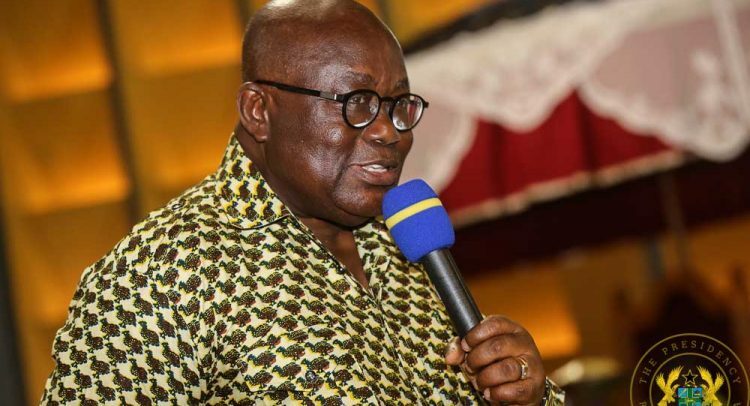 In an age of social media-propelled fake news and manipulation of facts by the media and others, President Akufo-Addo could not have chosen a better admonition than he did during the congregation of the Ghana Institute of Journalism last Friday. As fresh journalists joining their seniors in the inky profession, it behoves these young graduates to be wary about the pitfalls in the dissemination of news. The word, before it is sent out via the airwaves or print, must be sufficiently authenticated. This important element of the profession is often marginalized for political and even mischievous reasons. The compulsive instinct to go to press even before authentication, as the President observed, is responsible for the unprofessional trend which has unfortunately damaged the image of many, especially politicians. It is better to be the first to authenticate before reporting than vice versa; the repercussions of the latter too far-fetched to be ignored. Destroying individuals for monetary or political dividends should not be a feature of local journalism. It is for a good cause that the practice is hinged upon a set of ethics which tie in with Godliness. Journalists should ensure that the fear of God remains a cornerstone of their reportage and indeed their profession whatever channel they find themselves in. This way the importance of authentication to ensure that lies are not churned out would be ensured. Politicians are the most targeted by fake news perpetrated and as noted in an earlier paragraph the social media is providing adequate impetus for this pastime to thrive. These are rather choppy times to be a politician. Of the most vilified on social media none perhaps surpasses President Akufo-Addo. All manner of lies, allegations were levelled against him with the objective of making it impossible for him to become President. However, as the adage goes ‘whatever God destines nobody can reverse’, he emerged as President of Ghana notwithstanding these mischievous engagements. The mischievous elements concocted stories about his health through the fake news channel when the realization of the new dawn of lies via social media had not been noted by many. Today fake news is a phenomenon which President Donald Trump as a victim has condemned so much that in spite of his eccentric inclination his concern appears to have resonated with some observers. These elements by their occupation are sometimes rather erroneously regarded as media persons. Some journalists, out of mischief, amplify the contents of the fake news without verifying, thereby serving as unhealthy accessories for the wicked pastime. Journalists worth their salt should differentiate themselves from social media operatives because they have ethics to abide by. The fear of God should be paramount in whatever we do, news writing not being an exception. Although the opportunity of rejoinder exists for those misreported, the image fallouts of fake news or even unauthenticated stories are just too unbearable. It is even a fact that with the mainstream social media reports, rejoinders or even retractions are not applicable. The faceless persons spew their image-denting stories and untraceably vanish into thin air.